SpaceFlight Insider asked NASA to provide specifics as to what is next for Dulles, Virginia-based Orbital Sciences Corporation in terms of the $1.9 billion contract that the aerospace firm has with the space agency. It was unclear under the original phrasing of what was required of Orbital if the company still had six flights left to carry out – or just five. NASA representatives notified SFI that As specified in the Commercial Resupply Services (CRS) contract, Orbital is not obligated to re-fly a failed mission – but it does have other obligations it must meet. NASA’s Stephanie Schierholz detailed that the company does not have to conduct a specific number of flights – but, rather, a specific amount. “The contract is for the total metric tons to be delivered rather than a specific number of flights. Orbital is not obligated to re-fly the cargo lost on this mission. They are still obligated to fly the remaining and are working with NASA on alternate ways to satisfy the terms of the contract at no additional cost to NASA,” Schierholz stated. 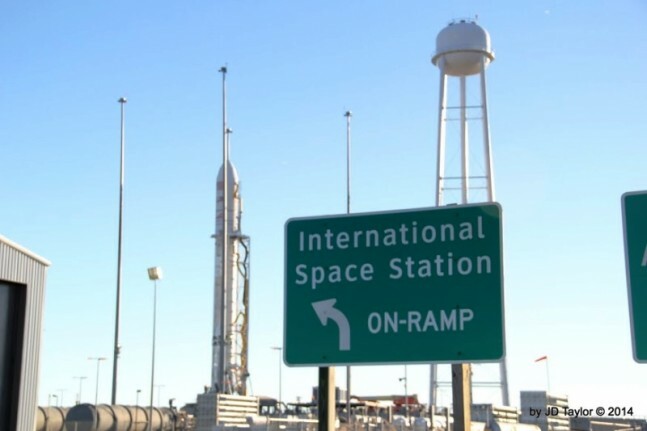 This issue stems from the Oct. 28 accident which saw the loss of the Antares rocket, Cygnus spacecraft and the 5,000 lbs (2,268 kg) of cargo that the Cygnus was carrying. Fortunately, the cargo that is sent to the orbiting lab is meant to be replaceable – for just such an occasion. Under what is known as a “sparing” philosophy, none of the cargo is irreplaceable and the next “spare” cargo shipment can be flown. Through the CRS contract, Orbital is required to deliver 20 metric tons of upmass cargo to the space station. Both Orbital and NASA are working to find the best path forward to ensure that this still takes place. CRS contractors are paid for the milestones that they complete on a successful flight. Due to the fact that Orbital was unable to meet the CRS-3 milestone – it will not receive the final contract milestone payment for that flight. 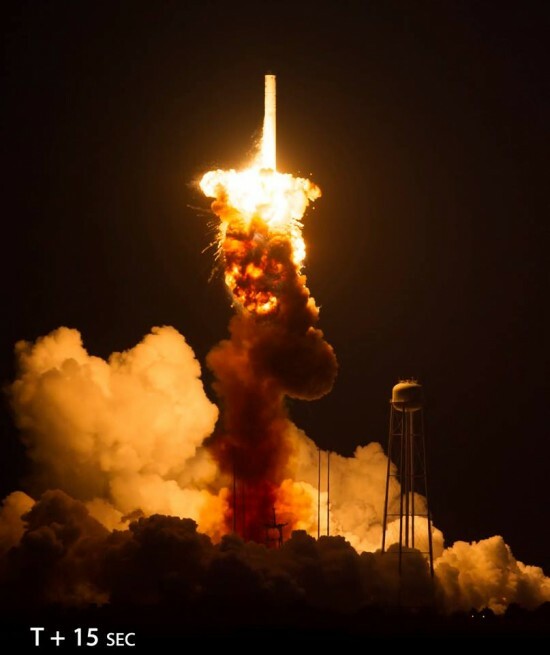 Since the accident, Orbital has stated that the likely cause of the accident was a turbopump on one of the two AJ-26 rocket engines in Antares’ first stage. 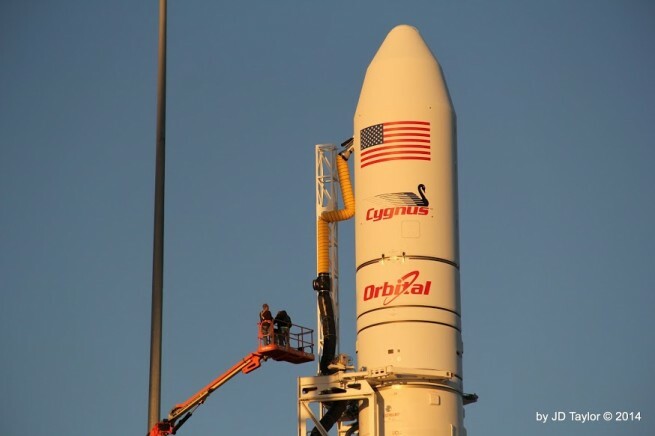 The company has also intimated that future use of the AJ-26 on Antares – is unlikely and that Orbital will attempt to complete the firm’s requirements by launching further Cygnus spacecraft – on another launch vehicle. While not going into specifics as to which engine will be tapped, Orbital had stated prior to the accident – that it was moving away from the 40-year-old AJ-26 engines. The company has stated that this process will be accelerated and that it hopes to get the newly-renovated rocket flying sometime in 2016. So if Orbital saves money by launching Cygnus on Falcon-9, do they have to pass a portion of the cost savings back to NASA? Who said anything about launching Cygnus on a Falcon-9 ? Just can’t see Orbital using anything of Elon’s to launch from. Still no evidence that they would use a Musk rocket. I think the Atlas V or Arianespace Soyuz rocket would make more sense, there closer to the antares lift capabilities and the Atlas is going to be used for station crew flights anyway. Antares is only 6,100 kg to LEO: half of Falcon-9 at 13,100 kg to LEO. THAT part is not rocket science but logistics and economics.